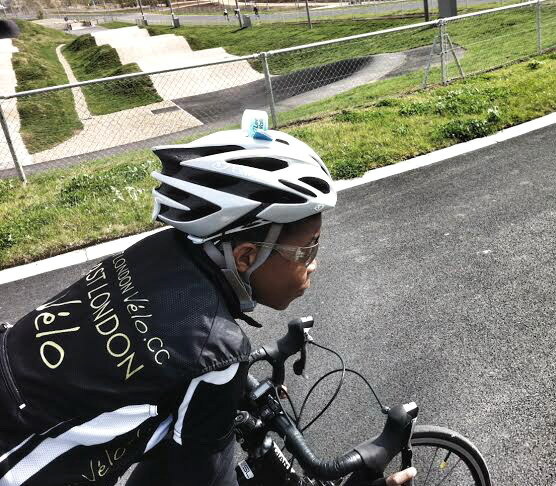 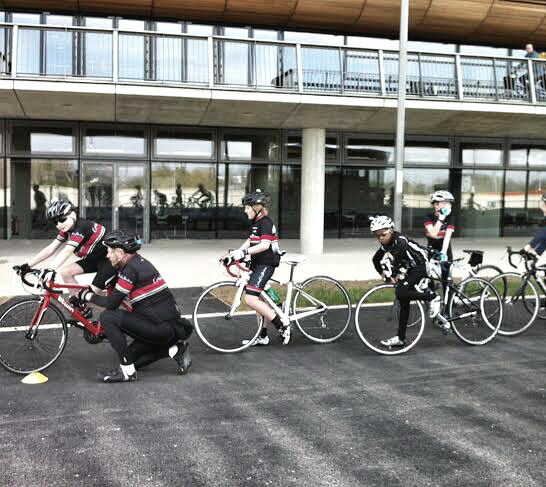 CJ through his club was invited to train alongside Cycling Club Hackney on Thursday evening & Saturday morning with the youths at the newly built Lee Valley Velo Park Road Circuit. 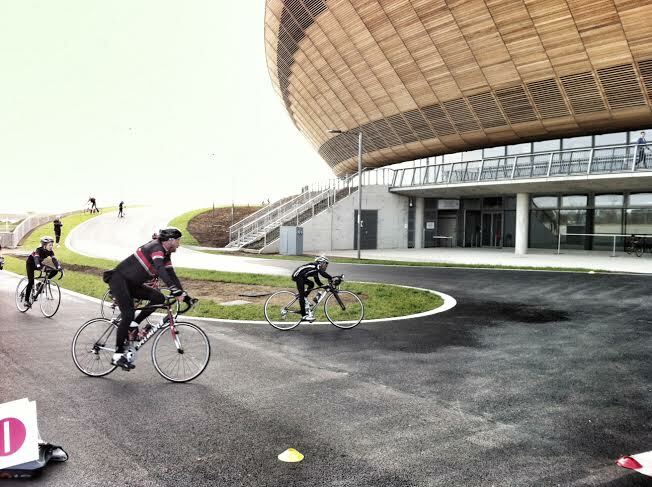 To say he was excited would be an understatement as for years we’d driven down the A12 watching the Velodome being erected and now he was going to ride in its shadows during the opening week. 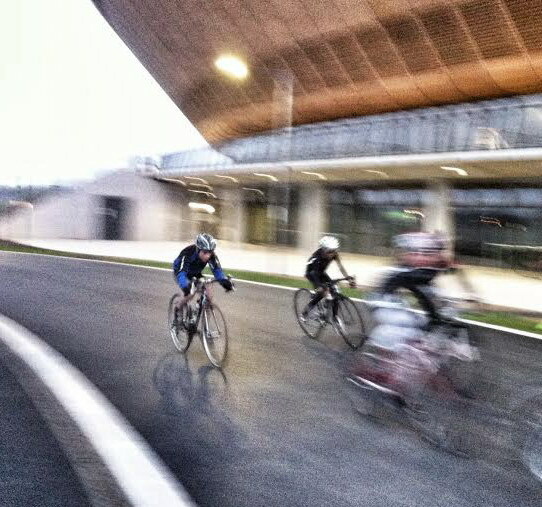 In terms of riding under floodlight conditions, the circuit was well lit and could be ridden hard without fear even in the technical areas of the circuit being one mile in total. 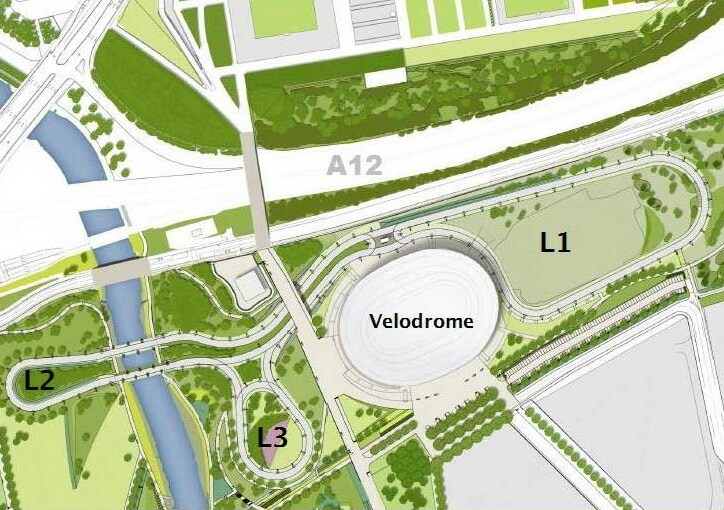 As regards the technical aspects, CJ states only two loops L2 & L3 on the below map going clockwise and the descents to the centrally located timing cabin that splits L1 & L2 were interesting, plus the three not too steep gradient climbs. 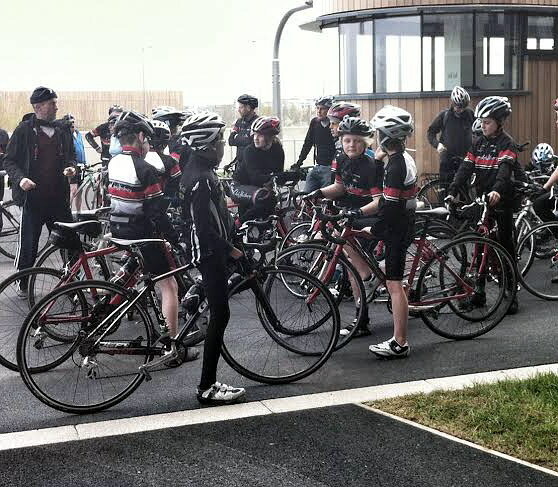 The circuit tarmac is fast with great grip in damp conditions as was the case on the Saturday morning, and he also thinks it will suit youth racers that can take the elevations constantly at speed and therefore groups will split up eventually. 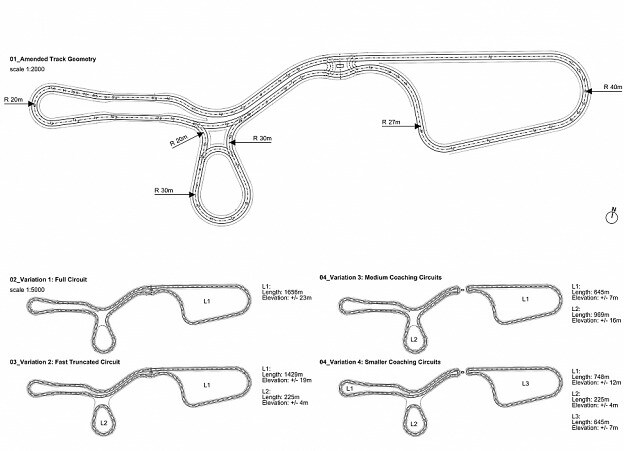 There are also a couple of areas more a worry for older faster racers in large packs, such as the bridge with its rumble strips alongside the steel barriers and the timing cabin (where the finish line is located) being almost in line with the fast descents. 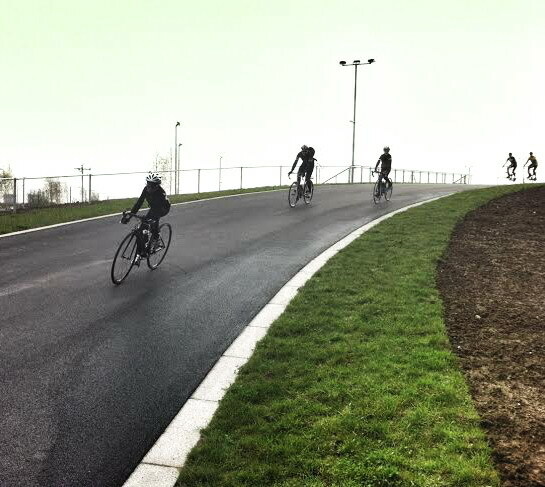 The circuit can be used in various configurations for group training, though CJ found section L1 (looping the BMX track) a little too short with a lap time of approx’ one minute at full pace and thought only the longer stretches were of real interest to him. 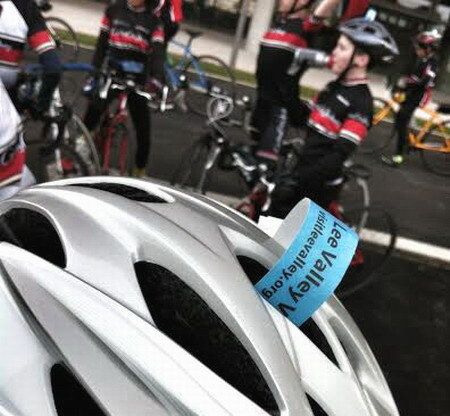 Anyway, all early days and he hopes some youth racing will be scheduled in the near future not to mention the upcoming return of the Lea Valley Cycle Club Tuesday Tens Time Trial to its spiritual home.